If you think your URL should be added here, please send us an email at allos.alli@gmail.com. 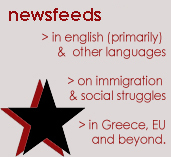 Various RSS wires about immigration and resistances in Greece, in Greek, as well as newswires in various languages on various struggles from around the world, can be found in the right sidebar of the main page. Group of Foreign – Immigrant Students in Thessaloniki (Ομάδα Αλλοδαπών-Μεταναστών Φοιτητών Θεσσαλονίκης): http://oamfth.blogspot.com/, sylalth@yahoo.com. 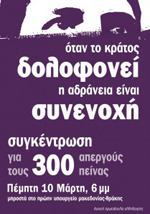 Group of Lawyers for the Rights of Migrants and Refugees: “Gefira” (Sp.Trikoupi 21, Exarchia, Athens) Monday and Wednesday 17.00-19.00. e-mail: omadadikigorwn@lists.riseup.net, omadadikigorwn.blogspot.com. Updates on developments in Greece by the usertaxikipali at libcom.org. 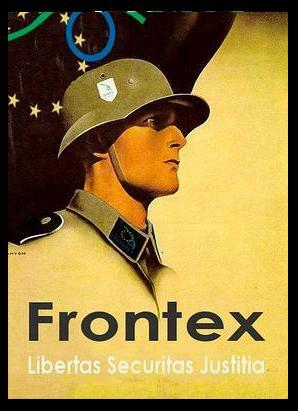 Add me as a link I am an internationalist, not specifically anarchist but I do believe in the free movement of people around the world without interference. Ultimately what is desired is the elimination of the state altogether and a world of people living in harmony. I was one of the founders of Rock Against Racism in the USA back in the 1970’s and have been active on and off since those days. Currently I live in Long Beach, CA USA and write a blog. I just discovered your web site. I guess we can relate. My collegue Vincent http://www.allincluded.nl will be at the nobordercamp in Lesvos, while I manage tyhe Campaign Free Ahmed Issa, the scapegoat of the Schiphol Fire. My freind Tjebbe wants to contract u as well. He is an artist doing a project as part of the memorial of the fire that kuiled 11 migrants 4 years ago. A new translated information blog from France. In order to make easier the exchange and make known the information between Here and There- against prison and for a solidarity network!